These cheerful little silver earrings from the Amsterdam goldsmith Yolanda Döpp have the beautiful shape of a rose. 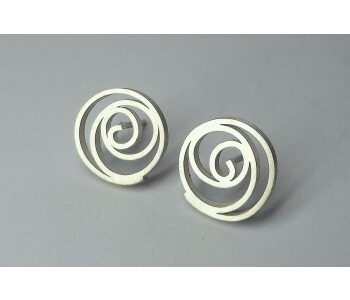 The earrings have a fresh white look, are not too big, and yet very striking. What makes them particularly special is their unique design and the unmistakable element of nature. A special item for people who love roses! Yolanda Döpp designs and creates timeless silver jewellery in her studio in Amsterdam. Each piece is refined to the most intricate detail and forms a harmonious whole. In addition, each piece is unique because it is handmade. These silver earrings with rose motif combines perfectly with the silver clamp bracelet with rose motif by Yolanda Döpp . 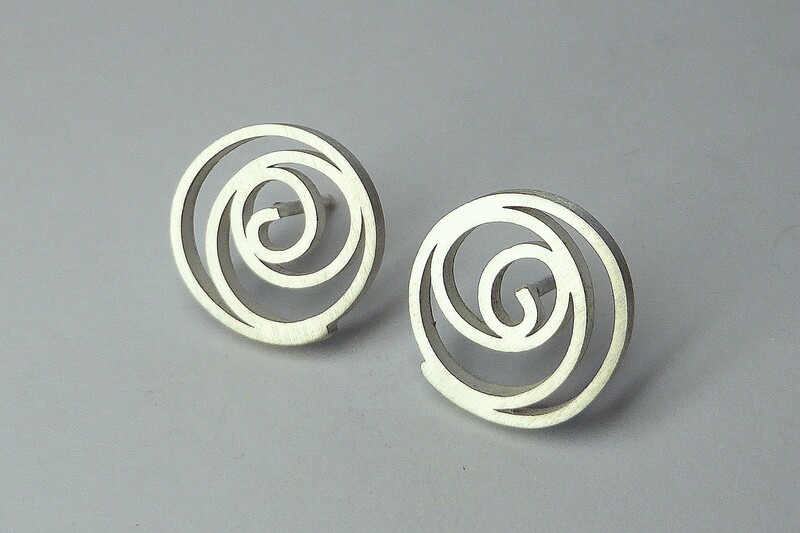 The earrings have a sleek appearance due to the recurring design language. At the same time, the earrings have a feminine elegance, making them a versatile and timeless piece. The earrings are made of upright wire and finished to the finest detail. The studs are not too big, but are distinguished by their subtlety. 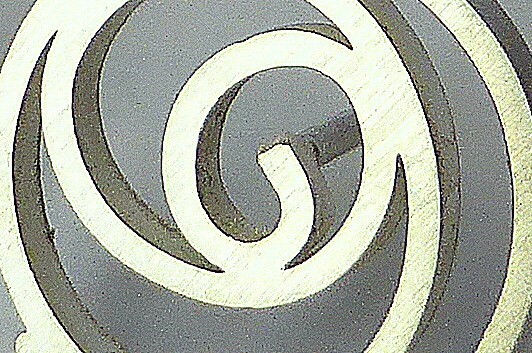 With a similar 'Rose' motif, Yolanda Döpp designed a bracelet as well. This silver bracelet clamps around your wrist. All handmade jewellery by Yolanda Döpp have a strong technological aspect, a streamlined design, and a beautifully finish. This makes her silver jewellery very easy to combine. Shapes and lines from applied art, fashion, architecture, and nature are the main inspiration for Döpp. The contours of all her jewellery convey a certain robustness, which combined with their elegance make them a great pleasure to wear!